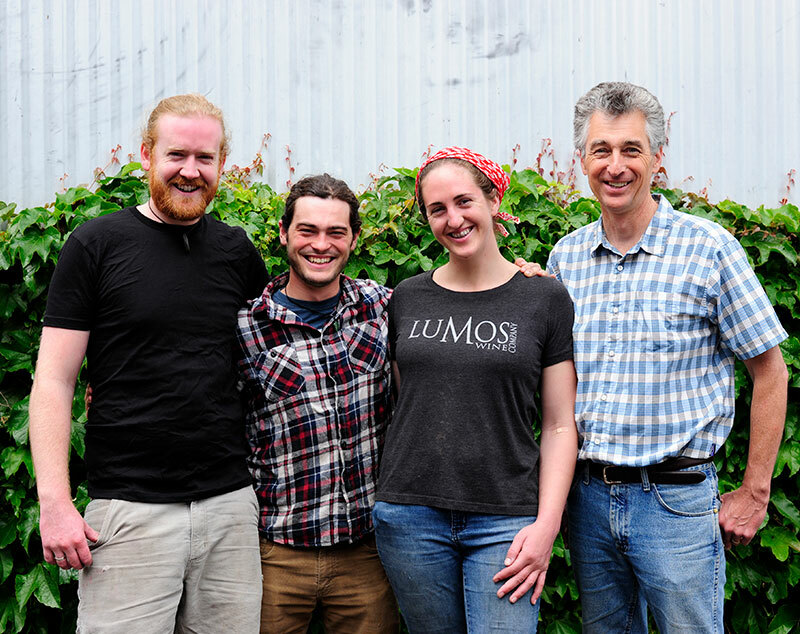 Lumos Wine Company started with Dai and PK in 2000 and has aged into a home-grown team of people all dedicated to hard work and good wine. 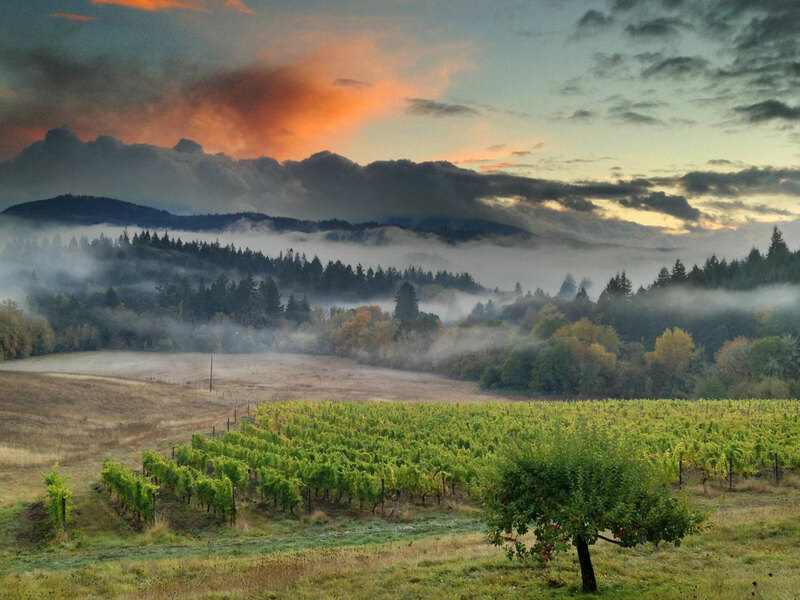 Dai grows all of the grapes used in our wines in USDA/Oregon certified organic vineyards. This philosophy of using a natural approach with minimal intervention also drives the winemaking, the result being a selection of honest and beautiful award-winning wines. Our 2018 whites are so very lovely and ready for pick-up. 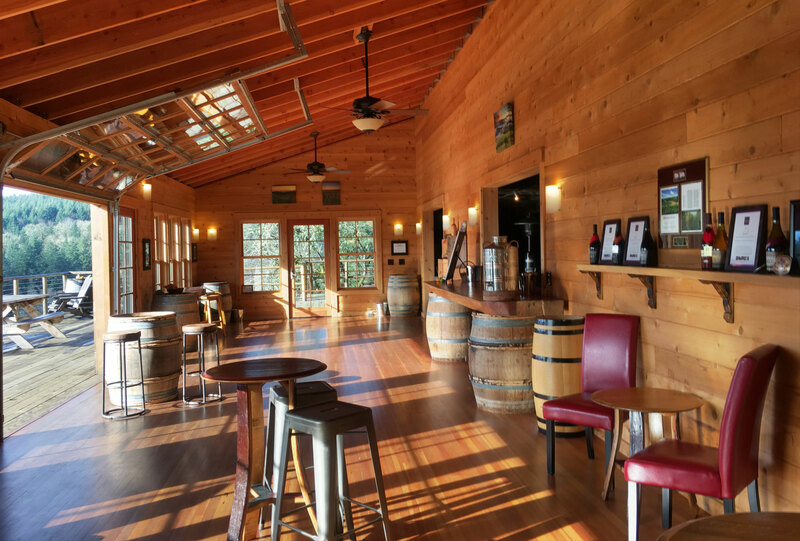 Every club member who picks up their wines (or arranges for shipping) during this special month will be entered into a drawing for two tickets to a special Barrel Tasting at the Winery with Julia, Boone and Dai! Here at the big ol’ barn Saturdays and Sundays, noon to 6. Spaces are going fast! Click here for more info. Lumos will have a booth at this first annual festival where folks can “experience the bounty of the Southern Willamette Valley”. They too have a Facebook Page! 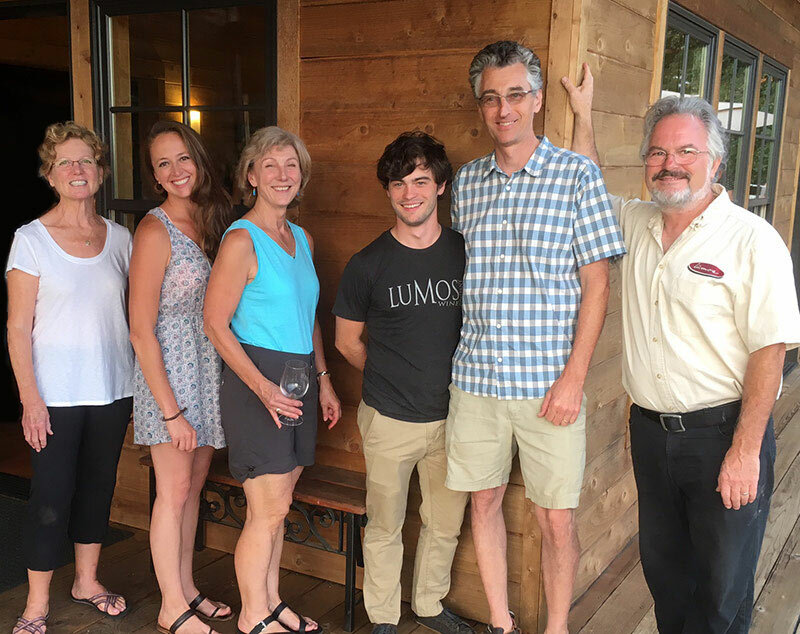 The Lumos tasting room is located on our historic family farm in Wren, OR – just 16 miles west of Corvallis and forty miles east of the coast. 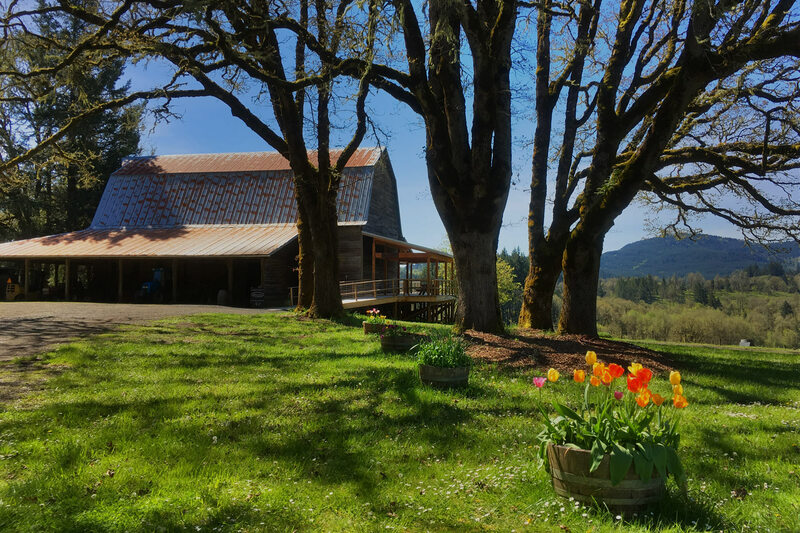 Housed in the big ol’ barn on what is left of the H bar H Dude Ranch which flourished in the 1940’s, the tasting room sits atop the vineyard and provides a view of the Oregon coast range and Mary’s Peak that is unique to the valley. 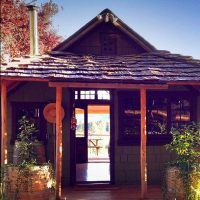 One of the original guest cabins still stands above the vineyard and serves as a cozy, rustic overnight rental. We invite you to visit us and learn more about our farm and winery and our colorful local history. 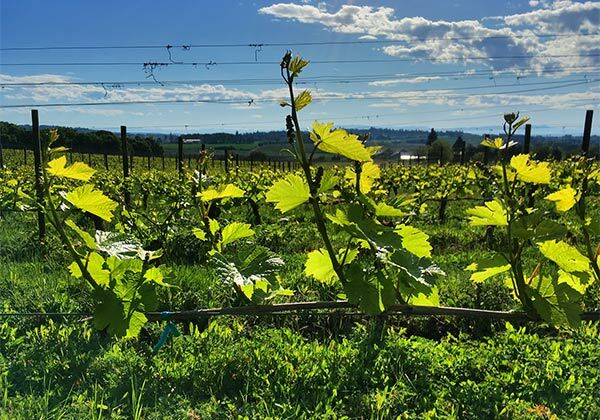 Temperance Hill, managed by Dai Crisp since 1999, is a 100-acre vineyard located in the Eola-Amity Hills AVA in the northern Willamette Valley. Owned by the Koo family, this second-generation vineyard was first planted in 1981 on basalt-based volcanic soil. 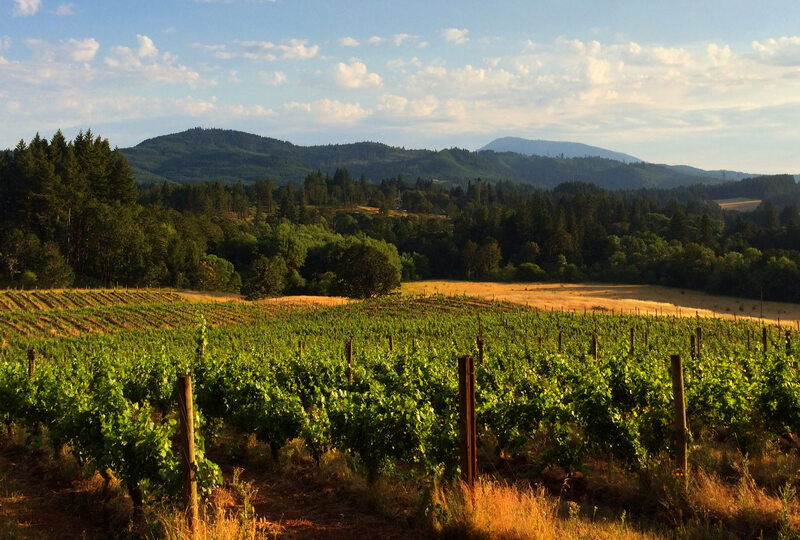 The vineyard is primarily made up of Pinot Noir, with a few acres of Chardonnay, Gewürztraminer and Pinot Gris. With an elevation range of 660 to 860 feet, Temperance Hill is a cool site, providing excellent growing conditions for Pinot Noir. Learn More. Owned by the Rudolph family and known to our team as Rudolfo, this small 10-acre vineyard planted entirely to Pinot Gris and has been farmed by Dai and his team since 2000. 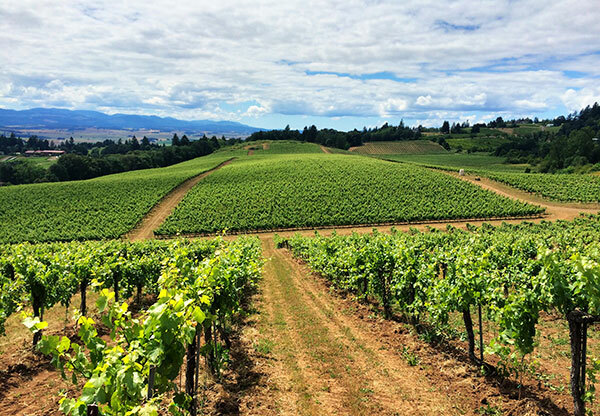 Located just north of Corvallis, it is a warm, low elevation site that ripens very early. Its crop level over the last three years has been around 2.7 tons to the acre. 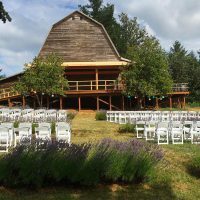 The vineyard supplies 6 clients, all making beautiful Pinot Gris. Our home site, originally planted in 1985 by Dai and his folks, has grown to 15 acres and is planted in Pommard Pinot Noir, Pinot Gris and Dijon clone Chardonnay. Elevation is 300 – 500 feet and even with direct south facing exposure, it is an extremely cool site prone to frost. An overhead frost protection system makes it possible to farm wine grapes here and when we do see a crop through the entire season without any frost these grapes make a most stunning wine. Or for a ‘live chat’ give us a call…541-929-3519.